Minister Miranda (second from right) announces additional funding to support Alberta’s book publishers. Alberta’s cultural industries have been identified as a key area to support the government's economic diversification and job-creation priorities. In 2016, the book-publishing industry contributed more than $18 million to the provincial GDP and accounted for more than 170 jobs. The modern book-publishing industry began in Alberta in 1969 with the opening of the University of Alberta Press, followed by Hurtig Publishing in 1972. 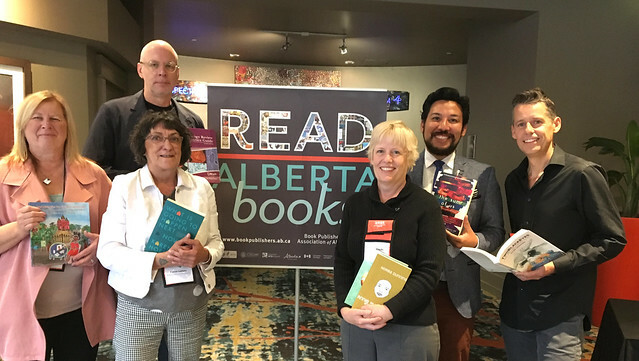 The Book Publishers Association of Alberta (BPAA) was founded in 1975 to support the development of a thriving provincial publishing industry, away from Canada’s traditional book-publishing centres. The BPAA has 31 members, including 28 book-publishing companies, many of which are owned and operated in Alberta.